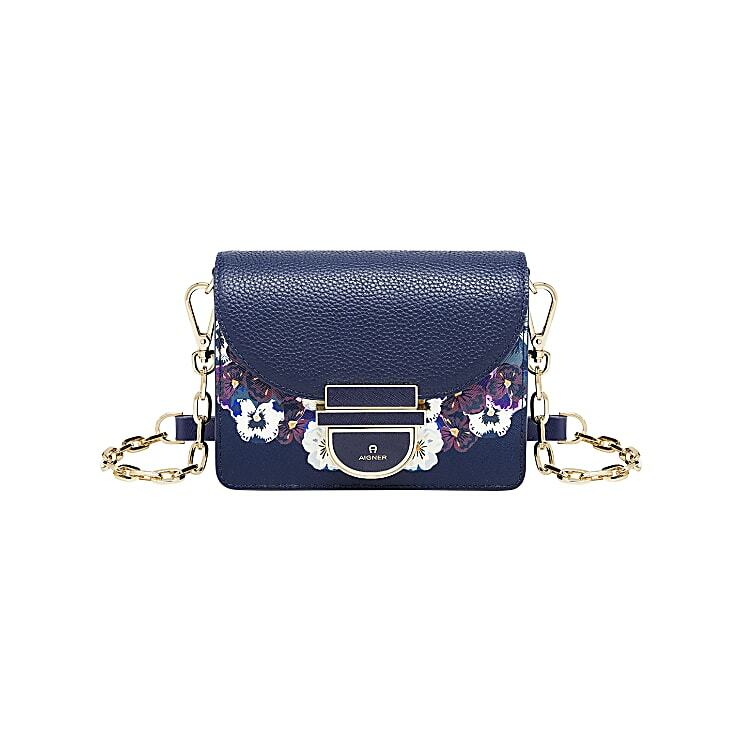 The pretty Cosima Shoulder Bag Pansy in XS hides on its backside a fancy zipper compartment made of Saffiano Leather, in which you can store your smartphone or other small valuables. Especially helpful are both credit card compartments, which are also hidden in here, and offer the possbility to simply leave the heavy wallet at home for once and thus gain more storage space in the rest of the bag. 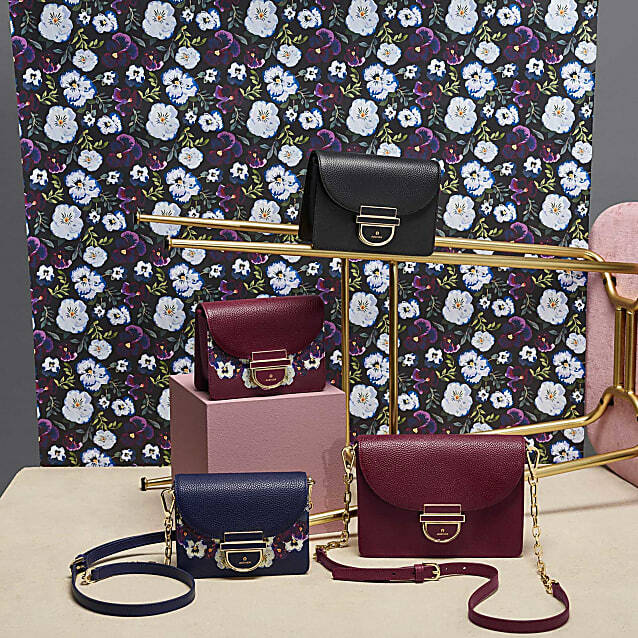 On the beautiful intense dark blue and burgundy background colours, the artwork of the painted pansies are highlithed in playful lightness on the Saffiano Leather of the bag and wrap elegantly around the upper flap, made of grained leather, which also makes a great contrast on this very shoulder bag. The striking lock with the gold-coloured details stands in beautiful harmony with the adjustable chain strap, which can be attached by the two carabiners.